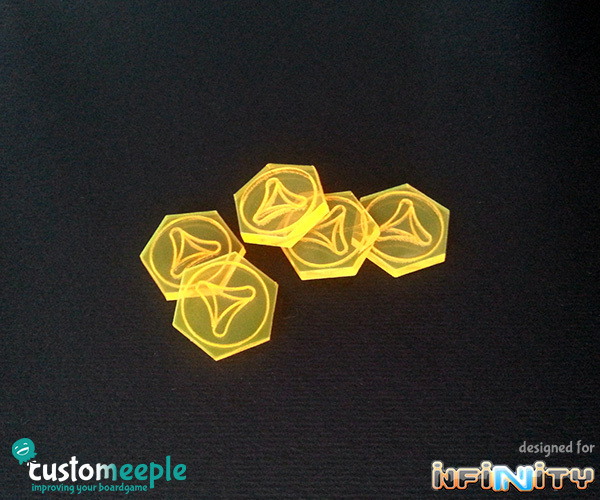 Official set of order tokens specially designed for Infinity the game with the collaboration of Corvus Belli, carved with the logo of your favourite faction: ALEPH, Panoceania, Yu Jing… Mark your actions using pieces with the official Infinity faction logos. 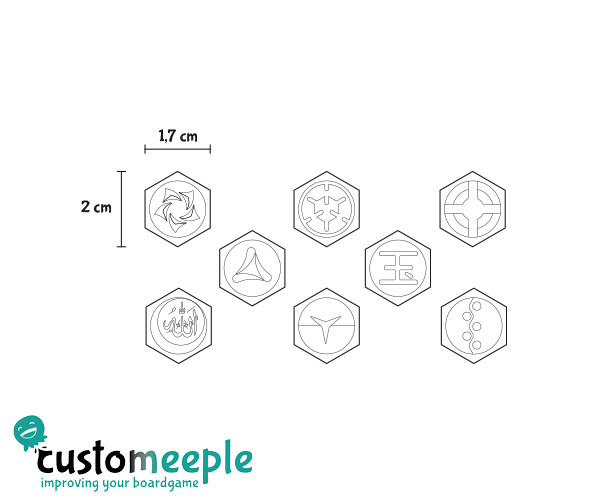 Size: 17 x 20 mm. 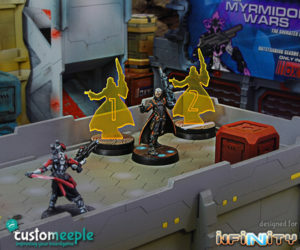 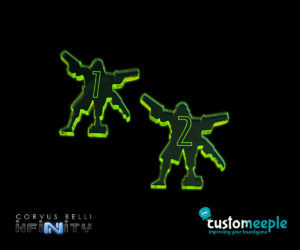 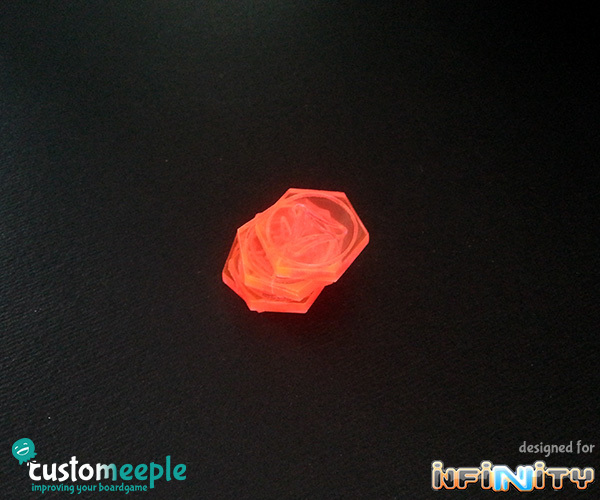 Use: Mark your orders on Infinity the game. 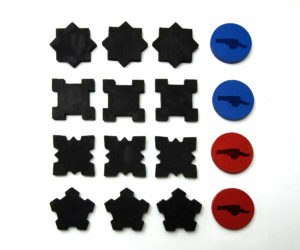 The image is an example of quantity, but the faction and colour will be the one you choose. 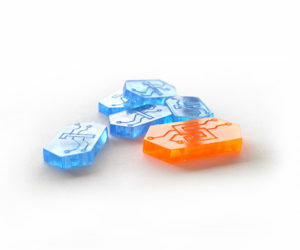 Tokens shaped as defensive fortress, it can be used in A few acres of snow. 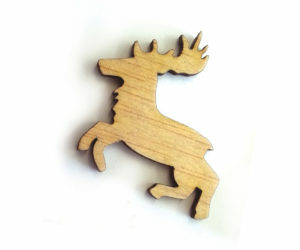 Tokens shaped as Stag designed to use in any medieval or fantasy battle game. 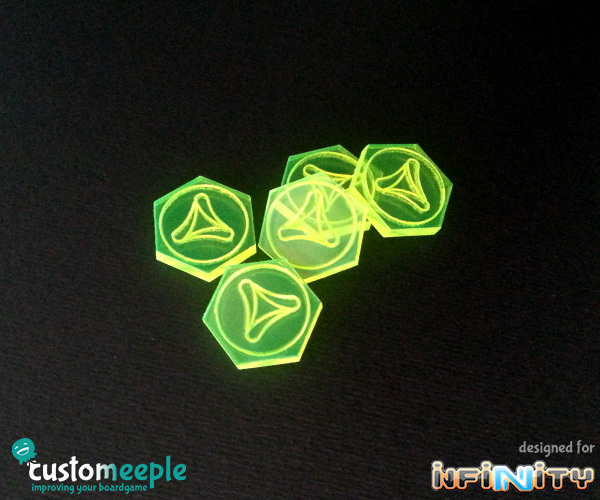 Futuristic credit points markers in different values. 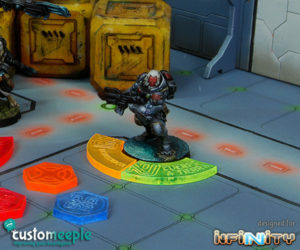 Improve all your futuristic games!